Rich McDuff is Northwest Florida’s most popular Irish folk music performer. With a loyal and regular fan base, Rich helped build and define the music scene at McGuire’s Irish Pub while performing there for more than twenty years. 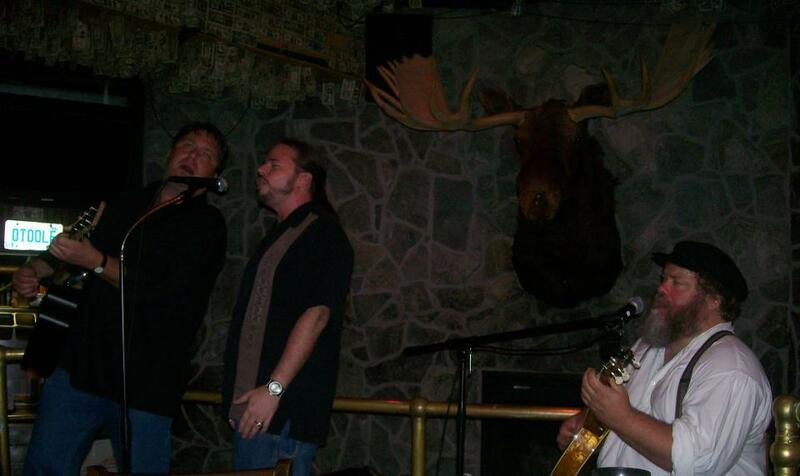 Although the moose-kissing tradition at McGuire’s predates Rich’s arrival on scene, he is responsible for writing the accompanying, and now entrenched “Kiss the Moose” song. He explains “When I began playing here, asking a first-time patron of McGuire’s to kiss the moose might be met with a bit of confusion and resistance. The traditional aspect was lost on them. I figured if there was a song to go along with it, it would give the tradition a bit more validity for first-time visitors to the pub. And it has worked out pretty well.” Now every act that performs at McGuire’s plays this song, and the moose-kissing tradition has expanded to include not only the moose but a couple other McGuire’s fixtures as well. Rich is also known or pushing the bounds of the debauchery which is naturally as part of McGuire’s slogan. His “Dirty Limerick” song, played to the classic mariachi tune of “Cielito Lindo” contains rhymes that could even surprise a hip-hop fan. Many of Rich’s regulars eagerly look forward to this point in the evening, awaiting their opportunity to share the stage with him and recite their own limerick specially prepared just for this song. The best and most classic limericks are written on a scroll and tucked away in the secret archives, only to be taken out upon the performance of this tune. Even more entertaining, energetic, and amusing is Rich’s version of “Seven Drunken Nights,” with extended responses – a wee bit too naughty to be written down here. This point of the night is when you are likely to see the most crowd participation. 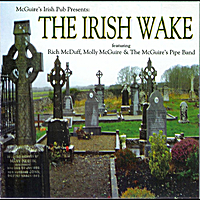 This rendition of the classic Irish song is memorable, if not for the increasingly lengthy responses, but the reactions and looks on the faces of new comers to the McGuire’s scene. Crowd interaction is a major part of Rich’s act. You never know just where the night will lead or how ridiculous the antics are likely to become. Rich’s set also contains a set of American country, and acoustically played classic rock songs familiar to everyone. As a classically trained guitarist, Rich McDuff’s musical talent becomes most apparent when he plays a traditional jig or reel or the occasional classical guitar piece. Rich’s revolving schedule alternates between the pubs in both Pensacola and Destin, Florida. While he is away, his regulars in Pensacola always look forward to his return. Some will even make the drive to Destin to see him when he is performing there. I first saw the Haints at Sluggo’s a few years back, and they have been all over the world and accrued quite a following since their 2000 debut. Such an innovative musical concoction as the Haints has an appeal much broader than the “folk-punk” category they are often associated with. The Haints describe their sound as “Alabama Ghost Music.” It’s a mixed assortment of southern roots music from bluegrass, to ragtime, rockabilly and honky-tonk, upbeat and with eerie and supernatural themes. Named after the Pine Hill Cemetery, the Haints are inspired by local Alabama legends and ghost stories. A haint is after all a particularly deep southern term for a ghost or haunt. But the Haints aren’t dreary and gothic. To me, they have a sound that seems to just emanate from the ground of the American South, like the past 250 years of Southern history and culture has taken the form of band. With songs like “Whisper in the Dark,” and “Tennessee River Rambler” you get a real sense of backwoods punkabilly that would make Buddy Holly proud, while tunes like “Bordello Blackwidow” and “Walking Talking Dead Man” could be Calypso numbers straight from the repertoire of the Mighty Sparrow. A PHH show is a hootenanny, rowdy and with an anachronistic flair, with lead singer and guitarist Jamie Barrier energetically jumping and jiving behind a handmade wooden mic stand reminiscent of the Grand Ole Opry. The whole show is reminiscent to a bygone era with an unmistakably modern twist. The sound texture developed by the hodgepodge of Jamie’s guitar, Matt Bakula’s washtub bass and banjo, Ben Rhyne’s snare drum, Katie Barrier’s mandolin and washboard can’t help but make you feel like you’re witnessing an old rock and roll show just upon the invention of electric amplification. The Haints are a band to see, and hear with wide appeal and a timeless sound that can be appreciated by punk rockers and hillbillies alike, between the ages of 5 and 105. They are one of those few musical acts that can truly bring different genres, generations and social groups together.